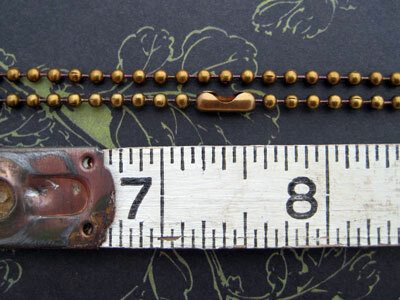 This ball chain is yellow brass with an antique brown and lacquered finish. It really is just a gorgeous antique brown color that looks wonderful with brass and gold pendants. Size: 2.4 mm ball diameter, Length - 24 inches.